Databases, a model first proposed in 1970s, now have been a core building block that supports digital transactions in modern day business. From a wider perspective, the development of information technologies such as the Internet, cloud computing, and big data has recently been a hot topic for discussion. Authoritative articles include "Out of Control" (1995), "What Technology Wants" (2010), and "The Inevitable" (2016) authored by Kevin Kelly, the founding executive editor of Wired magazine. More recently, Sapiens: A Brief History of Humankind (2014), Homo Deus: A Brief History of Tomorrow (2016), and 21 Lessons for the 21st Century (2018) authored by Yuval Noah Harari have become international bestsellers. These masterpieces reflect our expectations and vision for technological advances and the future of human society. We, either individuals or enterprises, are eager to picture an ideal future, towards which we gradually grow and evolve. The same process applies to the shift from traditional databases to cloud databases. The rapid development of cloud computing is closely associated with the Internet. Cloud computing was born when Internet giants looked to make full use of their idle servers and computing capacities. In the early stages, they provided easy-to-use, fast, and cost-effective resource services for Internet developers and startups. To migrate databases to the cloud, cloud service providers have developed a model that allows for resource sharing on the cloud among multiple tenants, as shown in Figure 1. 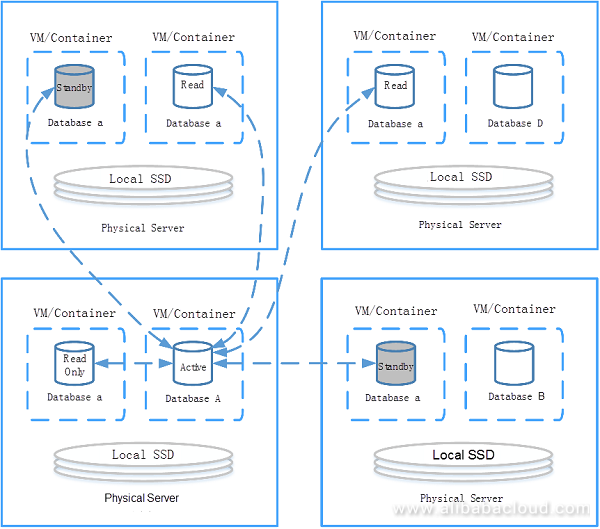 This was achieved by isolating the CPU, memory, local storage, and network resources of physical servers using virtual machines (VMs) or containers. In addition, high-speed solid-state drives (SSDs) were applied to reduce the I/O interference between multiple databases. This earliest model of cloud databases incurs the lowest costs possible, which is still in use today. As small startups developed into successful unicorns, some of their mission-critical applications needed to provide uninterrupted services to users. To ensure service continuity, a standby database was added to the active database on the basis of the model applied in the first stage, as shown in Figure 2. The standby database runs a copy of the active database. If the active database fails, the system can fail over to the standby database, which promotes the standby database to be the active database. Such an active-standby architecture enables high availability with the percentage of service uptime up to 99.95%. This has been proven in many production environments to be an easy-to-deploy high availability architecture. However, this architecture incurs higher costs due to an additional server and doubled data volume. As business grows, data volume increases, and service loads rise, a read/write splitting architecture is introduced, as shown in Figure 3. The read/write splitting architecture is designed for databases where read to write ratio is higher than 3:1, with some at 10:1 and even higher. In the architecture, data in the primary database is replicated to multiple read-only databases so that large volumes of data can be queried concurrently, significantly enhancing the I/O performance of the system. A standby database is required for read-only databases to implement high availability and an adaptive load balancer to distribute requests. However, costs increase along with enhanced data processing capability. Since there are one primary instance, N read-only databases, and two standby databases, the system has N+1+2 copies of data. In addition, restricted by the local storage of physical servers, the maximum data volume is limited from 2 to 3 TB. Therefore, the architecture needs to be improved in terms of concurrent data processing capability, scalability, data storage, and costs. As a further improvement, the active-active high availability architecture based on shared distributed storage was born, as shown in Figure 4. This architecture enables three data copies and increases data reliability. The data sharing model eliminates the need of read-only databases from data replication, enhancing system performance significantly. In addition, up to 15 read-only databases are supported with lower data latency. When only one read-only database is created, the read/write splitting feature is supported and the read performance is doubled. The cloud-native POLARDB is developed on the basis of the active-active high availability architecture, which can meet the needs of over 80% of users in relational data scenarios. Cloud databases enable load balancing and read/write splitting as well as providing high data reliability and high availability, strengthening the service capabilities of enterprises. 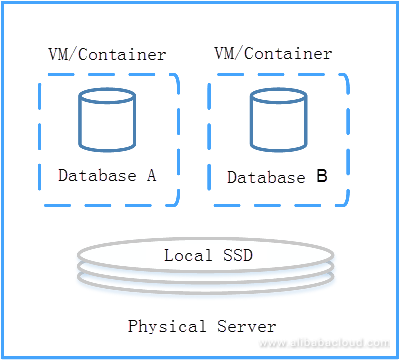 Alibaba Cloud has developed its cloud-native databases by using the latest architecture. With a portfolio of cloud resources and services in place that satisfies a variety of scenarios, an integrated cloud service platform, as shown in Figure 5, is established. Compared with traditional databases, the integrated platform has the following advantages. The platform expands the compute capacity of traditional databases by leveraging virtualization and distributed technology in computing, networking, and storage. It provides a highly scalable service capacity according to the business needs of the customers. The platform provides time-saving and effortless data center hardware deployment services, monitoring management, and software and hardware upgrade and maintenance services based on green computing and high-speed secure networks. By enabling web-based self-service management, the platform simplifies the purchase, operation, and management processes, saving time and reducing cost for users. The platform ensures a secure and reliable database service for enterprises by providing high availability, load balancing, firewalls, network typologies, and cross-data center disaster recovery solutions. Modern enterprises seek to create more value and find new opportunities by leveraging cloud computing technology. Currently, the resource management solutions offered by cloud services are the best practices for enterprises in the advancement towards digitalization. In the future, the competition among enterprises will not only be about their production scale, efficiency in operation, and their capability of acquiring resources. It will be more about further improvement in productivity and precision marketing in response to rapid market changes in user demand. In particular, it will require market players to more rapidly sense market changes through data analysis and provide customized and innovative products and services for specific scenarios. At this stage, cloud computing services will act more to satisfy the needs of small and medium-sized enterprises. Cloud-native relational database services can provide a comprehensive solution to ensure service continuity, high data processing capability, data security, expandability, and scalability for enterprises. 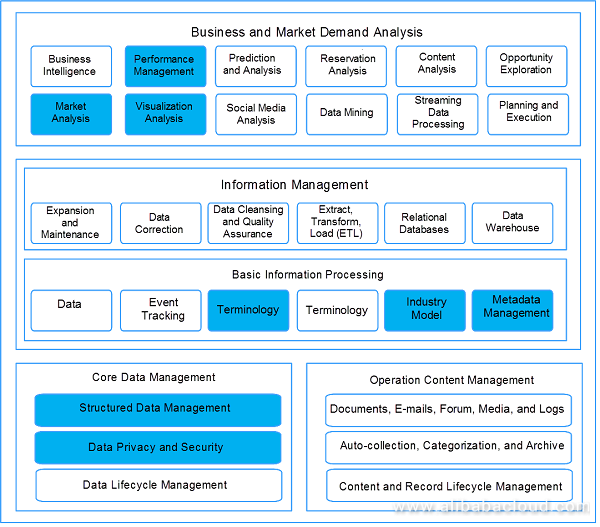 The core features offered by cloud applications, as highlighted in Figure 6, including demand analysis, basic information processing, and data management tools cannot be realized without relational cloud databases. Alibaba Cloud, the cloud computing business unit of Alibaba Group, has become the first ever Chinese company to be included in Gartner, Inc. 2018 Magic Quadrant for Operational Database Management Systems (OPDBMSs). As the world's leading research and advisory company, Gartner, Inc. has recognized Alibaba Cloud as one of the Visionaries, placing it among the top global leaders in the market. The Magic Quadrant indicates how well technology providers are executing their stated visions and how well they are performing against Gartner's market view. The Magic Quadrant provides graphically the competitive positioning of four types of technology providers, namely Leaders, Challengers, Visionaries, and Niche Players. For many years, industry giants including Oracle, Microsoft, and IBM have topped the Magic Quadrant report. This year, Alibaba Cloud enters the Visionaries quadrant, reflecting the company's innovation capabilities and its vision for changing market rules. 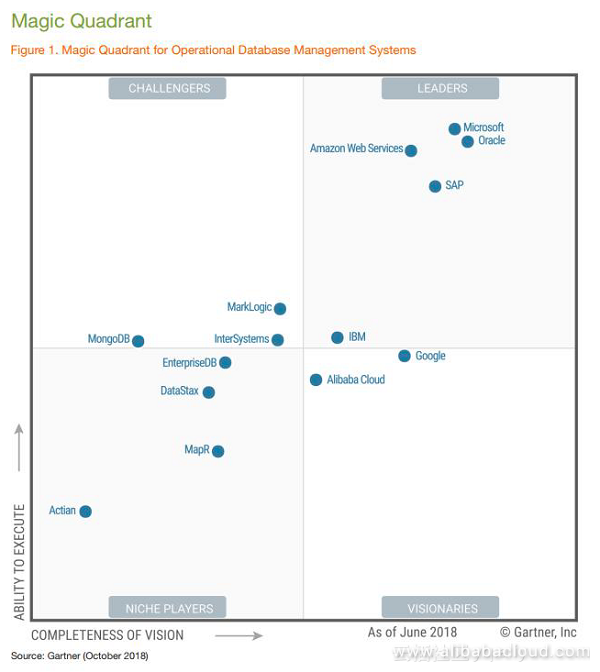 "Alibaba Cloud has the largest portfolio of DBMS services of the cloud service providers (CSPs) in this Magic Quadrant", wrote Gartner analysts, "Alibaba Cloud markets Apsara Stack, a complete private cloud for on-premises deployment. This represents a competitive advantage over both Amazon Web Services (AWS) and the Google Cloud Platform." According to the Gartner report, Alibaba Cloud is the largest cloud provider in China. 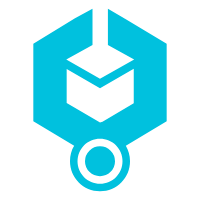 Its open-source AliSQL has a solid user base and is well known for enhanced performance in data management and security. Gartner analysts also note that POLARDB is worthy of expectation in the application of high-performance, high-capacity usage scenarios. Recognition by Gartner marks an important milestone for Alibaba Cloud. This accolade encourages Alibaba Cloud to further push the boundaries and facilitate the development of cloud databases. Compared with cloud database services in earlier stages, POLARDB can provide enterprises with more secure, reliable, scalable, and cost-effective data solutions to guarantee service continuity and adaptability to changing market demands. POLARDB adopts the latest design to integrate hardware and software capabilities, offering world-class performance in the following aspects. POLARDB optimizes the compute and storage engines so that enterprises can easily process large volumes of data. Evaluated by Sysbench, an online transactional processing (OLTP) benchmark tool, POLARDB can handle a maximum of 1 million read requests and over 250,000 write requests per second. A POLARDB cluster contains one primary instance and up to 15 read-only instances with the optimal concurrent read performance at 10 million queries per second. In addition, POLARDB accelerates query speed by 4-20 times for complex data query scenarios. POLARDB uses a shared distributed storage architecture and cutting-edge 3D Xpoint technology. It separates compute from storage. Based on a customer's database usage, the database storage will automatically scale towards the upper limit of storage (depending on the specifications of the instance). Storage is charged according to the customer's actual usage. Regardless of the data volume, instance specifications can be upgraded and read-only instances can be added or removed within 5 minutes. 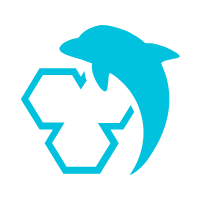 POLARDB is 100% compatible with MySQL 5.6 and later versions. This significantly saves costs on refactoring your existing applications or systems and greatly minimizes the impact of migrating your business to the cloud. POLARDB uses a distributed storage architecture and enhances data reliability with multiple data copies. 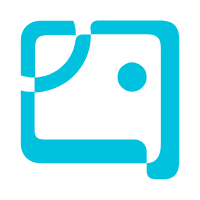 Data can be backed up using snapshots within seconds. Disaster recovery in the same region is supported with strong consistency. POLARDB provides various security measures for database access, storage, and management. These include managing data access by whitelisting IP addresses, network isolation using Virtual Private Cloud (VPC), encryption of data in transit using SSL, database event tracking and logging using SQL audits, and storage of data in multiple copies. Good one. 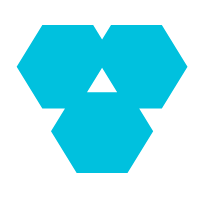 But people maybe curious on link(s) to "open-source AliSQL--->a solid user base and is well known for enhanced performance in data management and security" and many more questions, which comments may not be the right place.